UPDATE (15-11-2016)- Kratos VS 400 is now Dominar 400! —- Pulsar motorcycles have been the favorites amongst those seeking style and thrill at an affordable price. The Bajaj Pulsar brand has highly evolved since its inception over a decade ago. The low displacement KTM bikes have played a major role in this evolution. The 200NS became the first Pulsar to borrow a fair bit from the Duke 200. 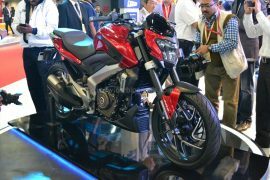 Now, Bajaj is about to come up with another Pulsar that shares in plenty with a KTM. The Bajaj Pulsar VS400 is based on the KTM 390 Duke. Yes, it is powered by the same 373.2cc engine. The VS 400 is basically the production-spec version of the Pulsar CS400 concept. 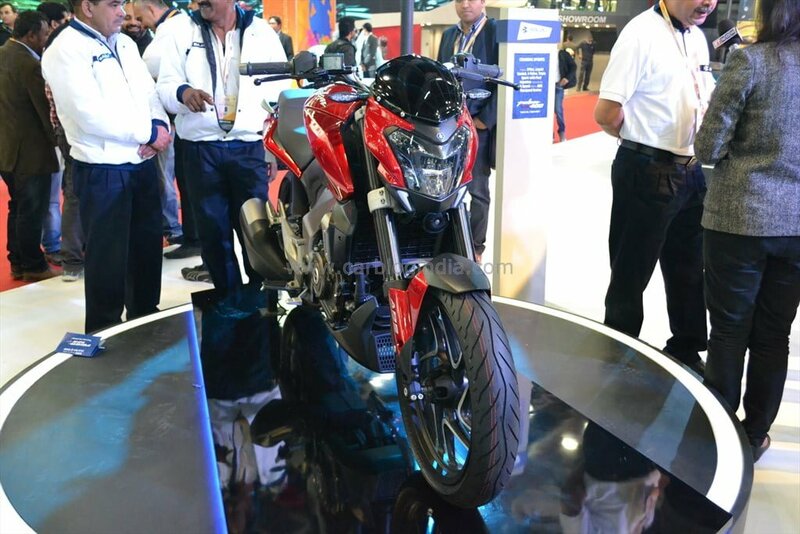 The CS400 was showcased at the Auto Expo 2014. The Bajaj Pulsar VS400 launch could be just days away. 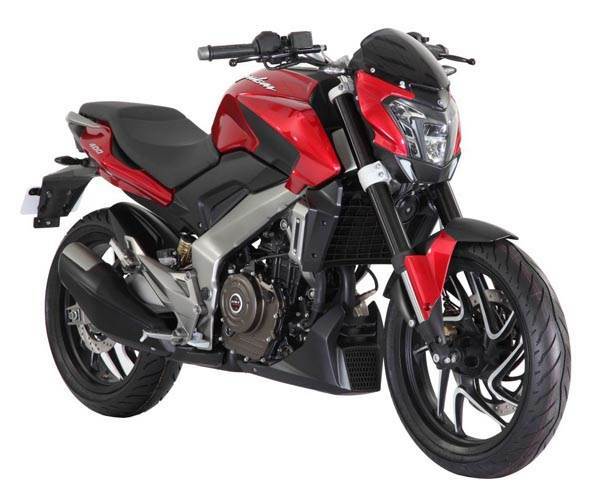 Read on for all available details on Bajaj Pulsar VS400 Price, Top Speed, Mileage, Specifications and Features. We have already seen plenty of spy images and videos of the VS400. The latest to have emerged is that the VS400 launch would happen by September, 2016. Also, the Bajaj Pulsar VS400 launch will happen before the launch of RS400. 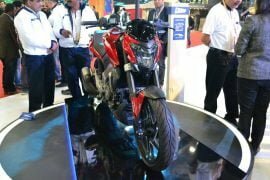 The Bajaj Pulsar VS400 launch will happen by the year end. In all chances, the launch will happen by November this year. Bookings for the VS400 could start at dealerships anytime in October. The VS400 shares its engine with the Duke 390. Hence, it gets a 373cc engine that offers a high performance and decent fuel mileage. The upcoming Pulsar 400cc bike could have a top speed of around 155 KMPH. The VS400 is the second new Bajaj bike this year. Earlier this year, BAL launched the Bajaj V150 commuter. 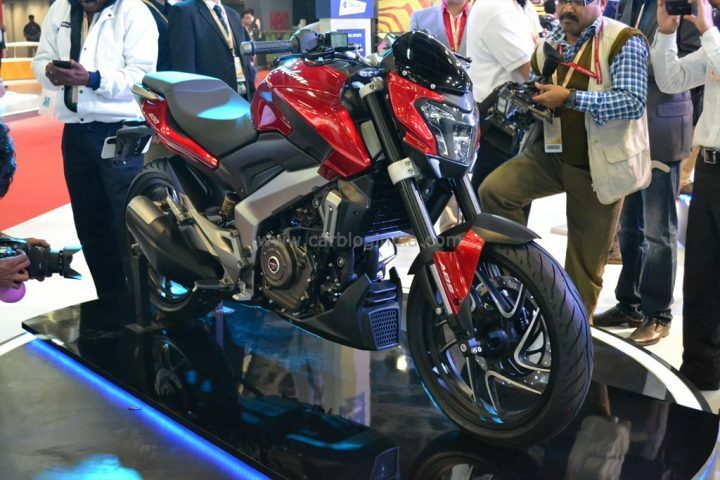 The VS400 will be the most expensive Pulsar model on sale in India. This bike will share its engine with the Duke 390, albeit with some re-tuning. However, performance levels should stand at par with most of the competition. The world class design is another highlight of the VS400. Our belief is that the Bajaj Pulsar VS400 launch will be a really important event. 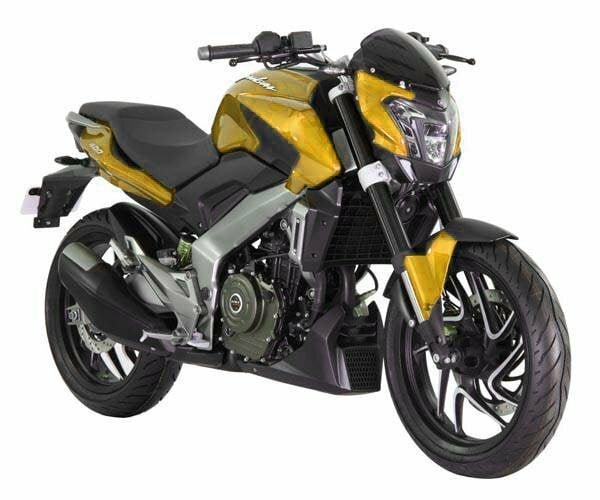 The Bajaj Pulsar VS400 could go on sale for a starting price of INR. 1.68 Lakhs. The top model could cost INR 1.8 lakhs. The VS400 will be positioned below the KTM 390 Duke. Powering the VS400 is the 373 cc, single-cylinder, 4-valve engine from the very exciting KTM 390 Duke. The engine is mated to a six speed manual gearbox. The VS400 is likely to have a power output of 35 PS-33 Nm. This will be considerably lower than the Duke’s 44PS. However, the power could have been brought down to optimize the fuel mileage. It isn’t yet known if the engine will boast Bajaj’s trademark DTSi Triple Spark Plug technology. The VS400 is expected to have a top speed of roughly 155 km/h. Stopping power will come from disc brakes at both wheels. The bike will feature stylish 17-inch alloys. A Single-channel ABS is likely to be standard while a dual-channel ABS will be available on top model. The CS400 concept from the Auto Expo 2014 had upside down front forks. The VS400, however, makes do with conventional front forks. The rear gets a monoshock suspension though. The VS400 gets a split seats setup. These changes apart, the VS400 will mirror the CS400. Thanks to a lower state of tune than 390 Duke, the Bajaj Pulsar VS400 Mileage could be roughly 30 kmpl. 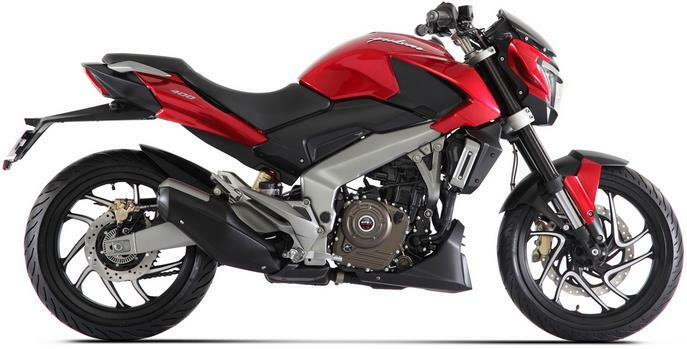 The Bajaj Pulsar VS400 will look almost like the CS400. This means the world-class design has been carried over. The design seems to take inspiration from Ducati Diavel and the VS400 is sure to set many excited. The VS400 definitely looks like an elder brother of the 200NS. The front fascia is characterized by an aggressive design and LED headlamp. The VS400, however, doesn’t get the upside down forks from the CS400. The VS400 even misses out on clip-on handlebars. This enhanced the street fighter image. The VS400 boasts a fully digital instrument console that shows speedometer, tachometer, odometer, fuel level and gear shift indicator. It also shows tell tale signs for air filter replacement and other such things. The VS400 gets a split-seat setup. It maybe noted the CS400 had a single seat. 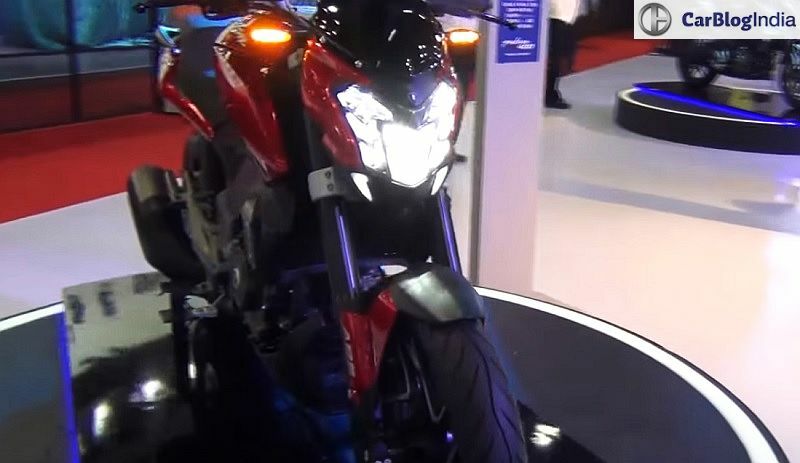 Other highlights of the design are- muscular tank, aggressive headlamp, sporty tail section and LED taillamps. 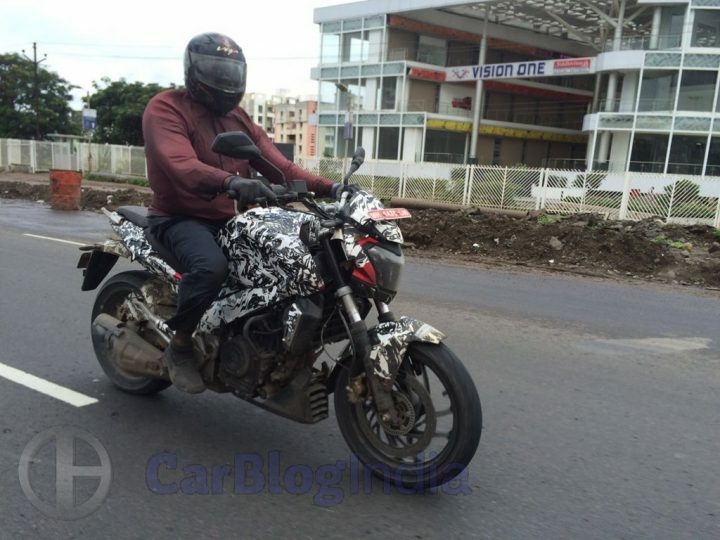 The VS400 Pulsar won’t have any garish body graphics. We feel that the Bajaj Pulsar VS400 launch will witness the introduction of a mean-looking, powerful and an attractive Indian sports cruiser. The VS400 will go on sale in- Red, Black, Yellow, Blue, Silver colours. Official details on colours and other specifications will be announced during launch/price announcement. 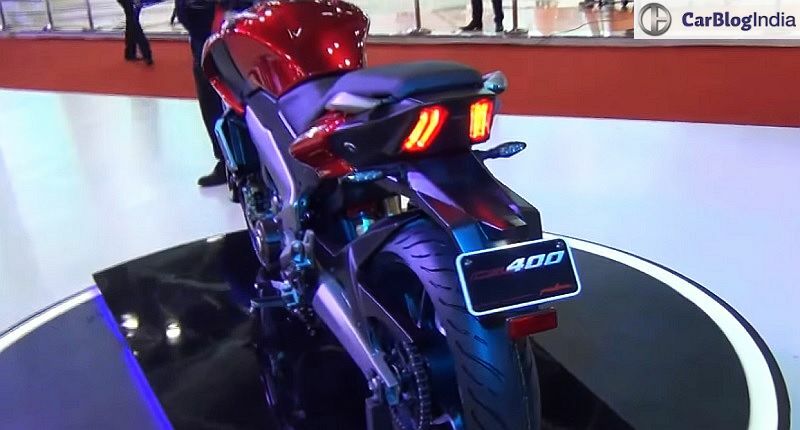 The VS400 will rival Mahindra Mojo 300 and even the KTM 390 Duke. It will also rival the Royal Enfield Himalayan due to similar pricing. Finally, it could also lock horns with the upcoming BMW G310 R.
Powering the Bajaj Pulsar VS400 is 373 cc single cylinder engine. This liquid cooled motor is the same engine that powers the KTM Duke 390. Power output could be around 35 and the peak torque roughly 33 Nm. Mated to the engine is a 6-speed manual gearbox. The VS400 gets disc brakes on both wheels. It also gets stylish 17 inch alloy wheels. 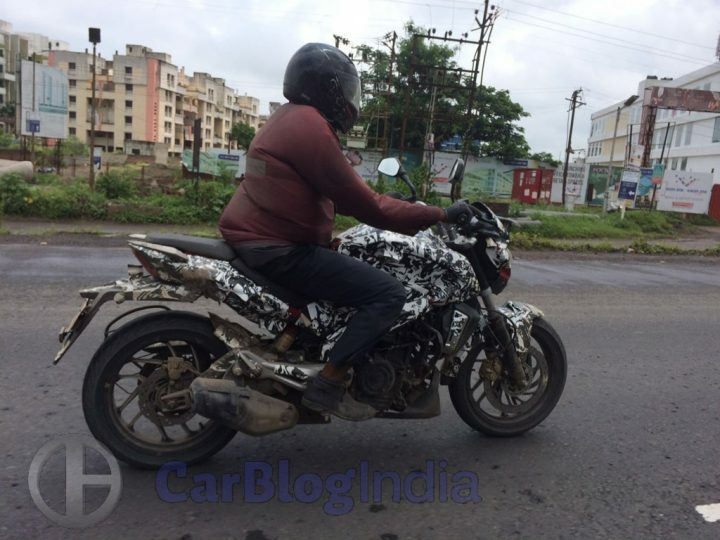 The Bajaj Pulsar VS400 launch date could fall in early September, 2016. Its price could be roughly Rs. 1.88 Lakhs. 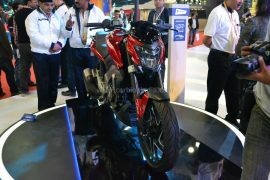 Stay tuned to Car Blog India for more on the Bajaj Pulsar VS400 price in India, launch date, top speed, mileage and specifications.